Harmony's hilltop patio makes the perfect venue for a private wine experience. A personal wine steward will share Harmony Cellars' story and guide tasters through an interactive wine tasting. Reservations for a Private Tasting must be made at least one week (seven days) in advance. Contact Erin at 805.927.1625 or info@harmonycellars.com. Price covers a tasting of up to seven wines from our current wine list, logo wine glass and a 10% discount on wine. 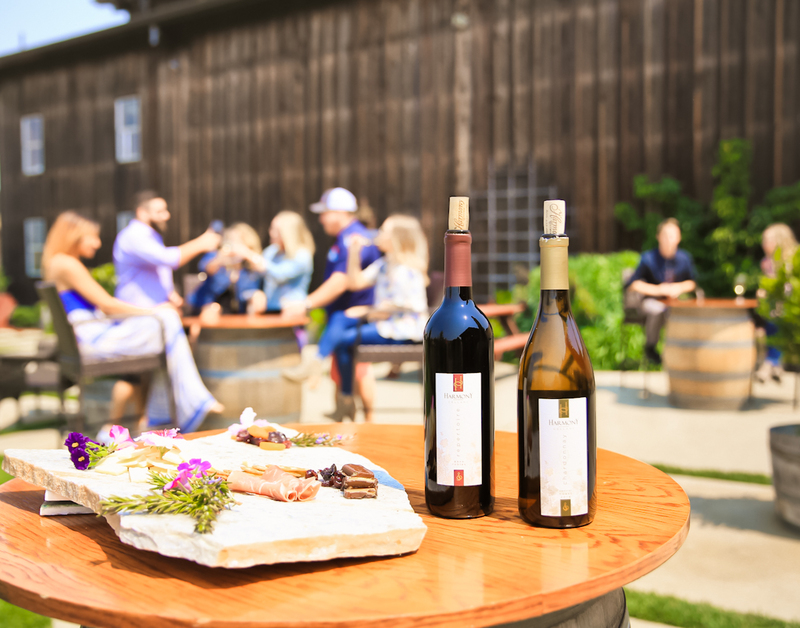 Private Tastings must be scheduled within our normal business hours 10am-5pm. The area for a Private Tasting will be reserved for a maximum of two hours. *Per person price is reflective of the number of people in a party not just those who will be tasting wine. Deposit: To secure a date and time, a deposit for approximately half the number of guests is required for all Private Tastings. Artisan Cheese Platter prepared by Indigo Moon Restaurant in Cambria (cheese, crackers and dried fruit). *Party of 10 - 15: $75. *Party of 15 - 20: $100. *Party of 20 - 30: $150. *Party of 10 - 15: $35. *Party of 15 - 20: $55. *Party of 20 - 30: $75.